If you believe Thomas Edison, “work is the world’s greatest fun.” For nonbelievers, there’s a powerful business trend that might make them converts. Gamification, or the use of game design and techniques in non-game contexts, has been bringing some of the fun — along with motivation, engagement, innovation, and profit — to the marketing and productivity efforts of a growing number of companies. 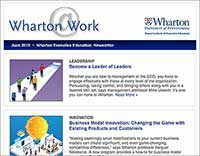 In For the Win, published recently by Wharton Digital Press, the authors begin with the basics: what gamification is, and most importantly, why and how it works. The book offers a six-step guide for incorporating game elements in businesses, and how to avoid “epic fails.” The book also reveals how a wide range of companies are successfully using game thinking today. 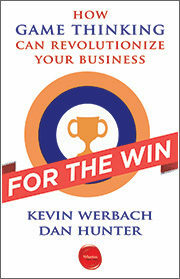 For the Win shows the reader how game elements can be used for marketing, productivity enhancement, innovation, employee motivation, and customer engagement. Its authors make the case that gamification is much more than hype — not only does it work, but it’s not going anywhere because of its effectiveness at solving real, pervasive problems. 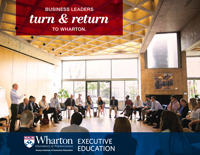 The book reveals how addressing these problems, motivating employees and customers, and creating engaging experiences through the use of game elements can transform organizations. “Eventually,” they assert, “gamification will be important to every part of business.” In For the Win, Werbach and Hunter explain not only the why, but the how. Readers of this solid guide will gain a deep understanding of the growing trend and a roadmap for making it work for them.